suerte sábado – álbum de cromos – ¿Y Ahora Que? 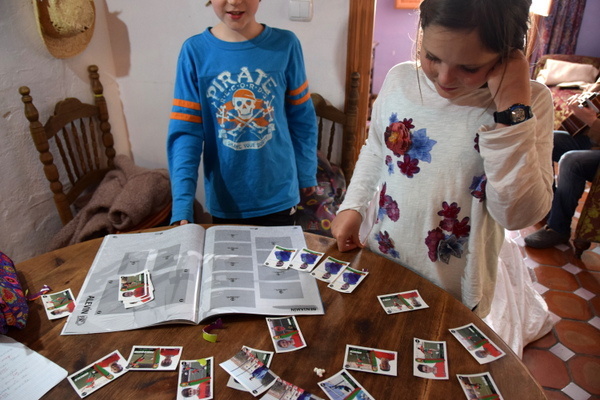 I promise I’m going to write about the ongoing saga that is fútbol eventually, but for now I’m feeling suerte this sábado about the album de cromos. It has turned into a bit of an obsession in our neighborhood and I must admit I’m probably a little too into it. Last fall Graham’s coach had the kids come early to get their team photos taken. Not a surprise. Anyone who has had a kid on any team knows this drill: team shots, player shots, expensive packages with unnecessary photo sizes that you don’t know what to do with. They get passed out to friends, sent to grandparents, and everyone shoves them in a drawer, never to be seen again. This happens two or three times a year, and is completely what I expected in Spain as well. Imagine my confusion when we were notified this spring that we could pick up our albums at the neighborhood candy shop. (?) When I arrived and asked for the photos from Rayo Eanes, team level Benjamin, the shopkeeper gave me a uncomprehending stare (something I fully expect from every conversation now). She looked at Graham in his team jacket, seemed to figure out the situation, and pointed at a row of what looked like plastic wrapped professional fútbol brochures. I still did not get it and asked where the photos were. She took out a box of what looked like trading cards and asked if I wanted more than the five packs that came with the album. Eventually I worked out that this is nothing like the American system (smack forehead). 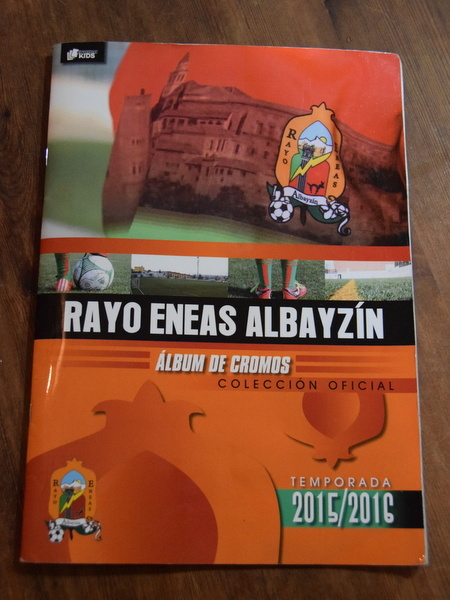 It is, in fact, a sticker book with spaces for every player from all the Albayzin teams, which run from first grade to adult. 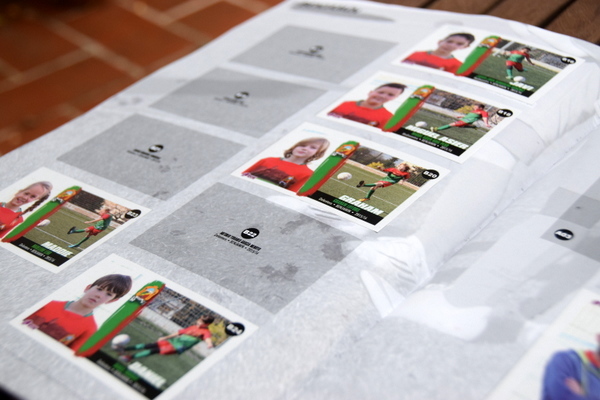 Each trading card pack comes with a random assortment of five players or coaches. 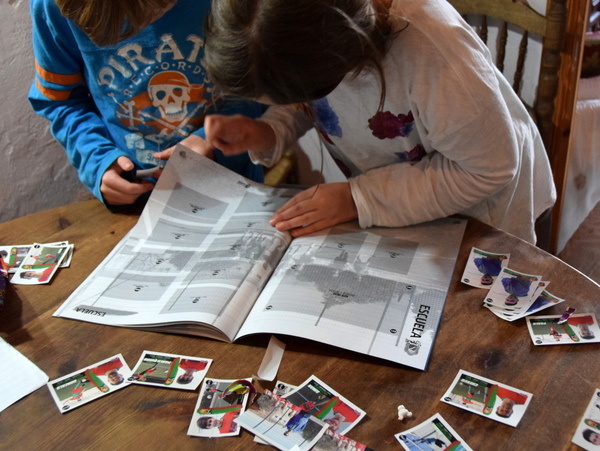 Kids buy, trade, collect, and try to complete the lineup of some or all the teams in their album. It’s an absolutely fantastic community building exercise because it gets players from all age groups talking and negotiating and getting along with kids they may not even speak to otherwise. Plus all the money benefits the teams instead of the photography company. Unfortunately, this could never work in American because soccer (and sports in general) aren’t structured the way they are here. There isn’t enough interest for each part of a city to have so many team levels and an umbrella organization running them. 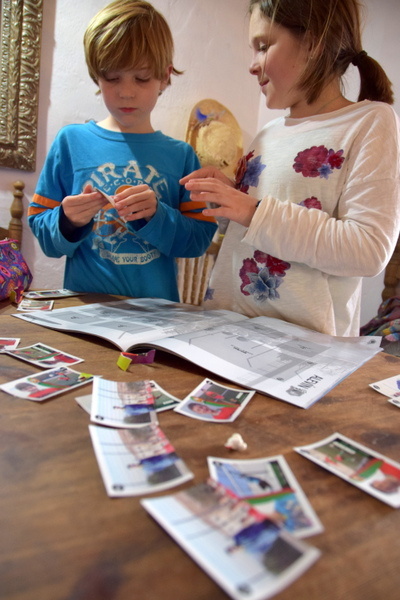 Plus with zero walkability in most U.S. cities, it’s impossible for the kids to run around trading cards with friends and neighbors. Shame, really. 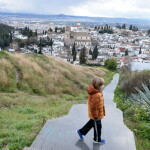 ¿Qué he echado de menos? That’s great! 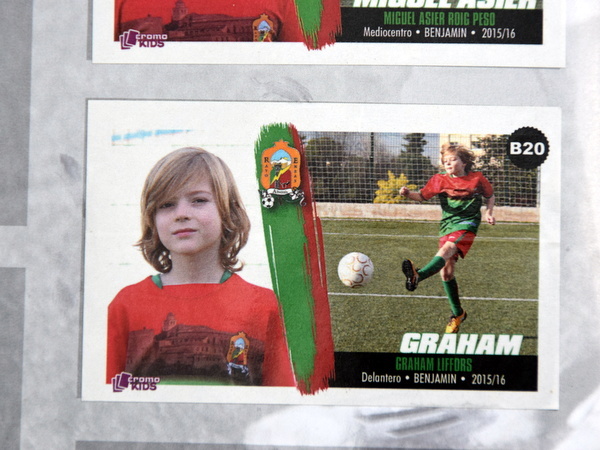 Can I buy a Graham card? Point out who has his card when we visit later this month. Maybe we can talk to them. 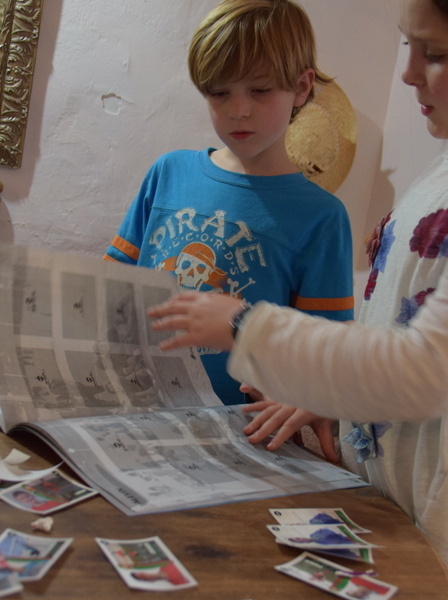 That sticker book is one of the coolest things I’ve ever seen…. it is sooooo Europe, and it would just never work in America. I’ve seen something similar in France with the youth soccer and rugby teams. The town really gets behind their teams, no matter what age group, etc. The town has to have a real sense of community for something like this to work! You guys are lucky to be there, experiencing this. Graham Liffors, play well!